we're happy to provide this information to help you understand how the hydraulic circuit training machines work and how the circuit program will benefit you and your club. 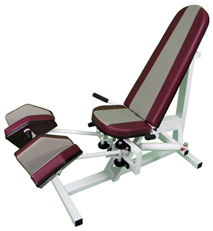 Hydraulic Resistance Training is one of the most popular workout programs on the market today. As a stand alone workout program, or combined with other fitness products, the Hydraulic Circuit Training System is definitely here to stay! What Is Hydraulic Resistance Training? Hydraulic Circuit Training is a different form of Cardio & Strength training in which the individual exercises two opposing muscle groups at the sametime. The resistance for the workout is provided with highly engineered hydraulic pistons and is created, not only by the speed (fast or slow) of the user, but also by the level of resistance (1 - 9) the cylinder is set to. This gives the exerciser more control over the workout and is a great feature used to create dynamic circuit training classes! Our Premium Hydraulic Cylinders have 9 levels of resistance and are user adjustable (see white cylinder, as shown in picture above). User simply turns the knob located on the cylinder to increase or decrease resistance. 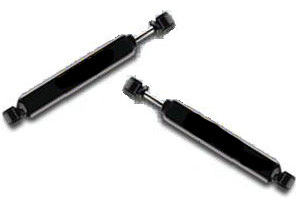 Our "Club Power Cylinders" (shown below right) are also available for club owners who want a 50/50 resistance power workout for their members with self-adjusting resistance. The faster the user moves, the harder the resistance. Allows for Cardio and Strength training at the same time! 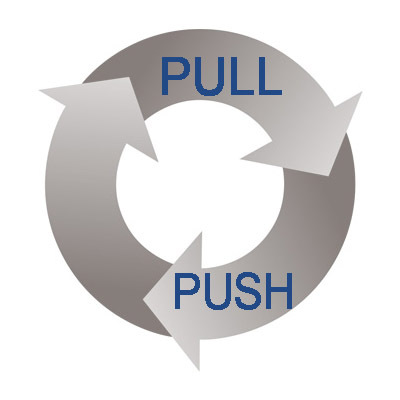 With hydraulic resistance, your member pushes forward then pulls back. There is no "lowering" of the weight. the lowering of the weight. Yes, it is safe! It's actually extremely safe - much safer than traditional workout equipment! This can result in even lower insurance rates for your club! Members may start at any station available. The Cue Stationmaster CD (included in each package) will instruct the member when to "move to the next station". Every 7 1/2 minutes the stationmaster will instruct the member to "get ready for a 10 second count". Your member will then proceed to count their heart rate and compare it with the Heart Rate Chart (included in package) to see if they are in the "fat burning zone". A member will typically complete three rotations around the circuit for a 30 minute circuit workout. As one member's workout ends another member's workout begins! 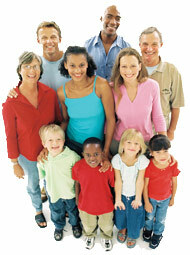 This allows for a large membership customer base with only the circuit, if desired. Adding other fitness machines, such as: Treadmills, Ellipticals, and Bikes, only increases the opportunity for an even larger customer base, plus allows for variety in your member's workout.